"I'm out of smokes mom"
I approach the topic of reading piano music with a bit of caution. 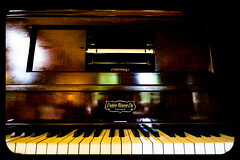 I play the piano by ear with a solid understanding of music theory and years of tinkering. When I mention I don’t sight-read piano music well I often get some tips returned to me such as the “Every-Good-Boy-Deserves-Fudge” trick. I can sight read music on some woodwind instruments but piano has so many more layers to it. 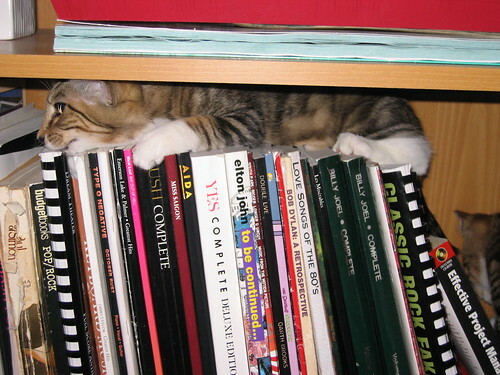 However, I found a shortcut at a young age and have always relied on playing by ear. Put a Billy Joel song book in front of me and I’ll play through each song fine, but in secret will only be looking at the lyrics and the chord chart if needed. If you want me to play it note-for-note, come back in an hour. If you want Beethoven’s 27th Piano Sonata played note-for-note, come back in a few weeks. There’s a special category for piano players who can play those pieces by ear, I’d call them prodigies. I was sitting on a pull-out sofa-bed with my Casio SK-1 in one of my earliest piano-related memories. I was maybe 6 years old and was picking out melodies such as “Twinkle-Twinkle” and “Come, Follow Me” with my right hand. It may be common sense to anyone who’s even a bit musical that notes get lower to the left and higher to the right on a piano, but this was the moment that this concept stuck. I was no longer guessing at the notes and I felt a discomfort, almost a physical pain, when I went the wrong way down or up the piano. If the next note sounds higher, move up. Vice-versa for a lower note. 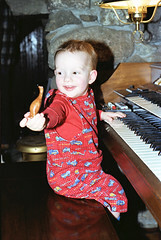 This isn’t the beginnings of a piano prodigy, but it’s the first pivotal progress point in my playing-by-ear career. This is an old ad for the actual keyboard I toyed with as a kid. I found it in a box of photos in my grandfather's basement. Over the next few years I did take some piano lessons, but I’m not convinced that they directly improved my piano skills. I remember spending weeks learning Bryan Adam’s “Everything I do (I do it for you)” note-for-note in the daunting key of A-flat. I did it because the teacher told me to but in the end it just seemed like silly memorization for memorization’s sake. Why couldn’t I just play it my own way and save everyone time? I retained the ability to play the note-for-note transcription for a few months but soon forgot it for good as it was simply a pattern that would be forgotten if not repeated frequently. I could still play the song on demand but it would be my own version, most likely different in each play. I suppose there are parallels to this and my cooking adventures where I would rather go down my own path instead of the tried and true method. It’s not elitism, or rebellion, it’s just the path that makes the most sense to me. As I entered my teen years the piano wasn’t the coolest instrument so I picked up the guitar. I also joined pep-band to offset any earned coolness points however. The piano never really took a back seat and I often played the same tunes on the piano as I did the guitar simply because they were in my head. As I unsuccessfully tried to woo the ladies I found the piano may be my weapon of choice, though I can’t say it directly led to anything other than a smile. I purchased the entire Billy Joel catalog to load my brain with the musical ammo needed to play any Billy Joel song on-demand. The stretching limits of a phone chord and jack were tested as I played all 7 minutes of “Scenes from an Italian Restaurant” over the phone one night. I pulled the phone through to the den leaving the phone by the speaker and being surprised that she was still on the other end when I finished. I imagine she told her boyfriend that she has a friend with a quirky ability to play Billy Joel songs on demand, and moved on. 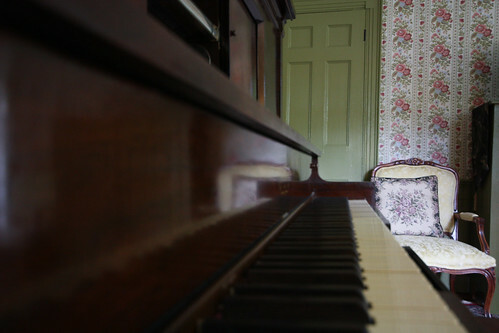 In my college days the house piano followed me with no questions asked. While it wasn’t directly used to win over my future wife I think it did help by acting as filler for awkward pauses. Impromptu sing-a-longs of Tori Amos, Britney Spears and Backstreet Boys served as transitions between scenes as I attempted to impress. How does one profit from this “skill”? Besides playing in a piano bar, they don’t. I gave piano lessons for a few years to young kids and overall I thought it went reasonably well, though nothing is more dull and less motivating than Alfred Music Publishing exercises despite the funny illustrations. I’ve thought about the possibilities of writing a book detailing how to play piano by ear. At first I laughed at the thought thinking it would simply be a sentence; “Play in the direction that does not cause pain”. But then I realized there are a lot of tricks to it and patterns that I have learned over time. They could be written down and explained with video/audio examples and this blog is the perfect medium to see if I can actually make sense of it. Have a seat, and learn something new. Music is like math. It’s logical and while memorization can help you pass the necessary recital or test, it’s not an understanding. I took calculus in college and got an A on every test by purely memorizing how to solve each problem but never really understood (or cared) why. The same is true with music. With a solid understand of music theory the patterns become clear and more importantly, repeatable. I once played keys with a guitarist who was irritated whenever I discussed music theory thinking it was completely unnecessary. I bit my tongue, but it’s comparable to a writer shunning the alphabet, or an architect rejecting blueprints. The leap from memorizing a pattern to understanding the theory behind it creates a musician. The below video is a perfect example of what this book (or series of blogs) could highlight. These independent songs that most people probably never associated suddenly mash together perfectly sharing a common chord progression. Imagine if you studied “Hotel California” and then sat down to pick out “I will survive”. Once enough songs can be bridged together like this there’s nothing that can’t be figured out and played by ear. Buy Now! Or continue to lesson 1.